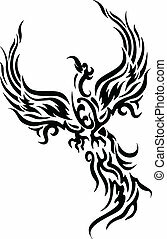 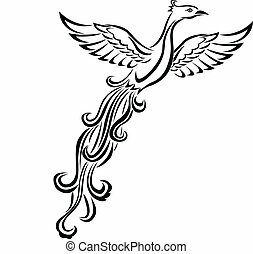 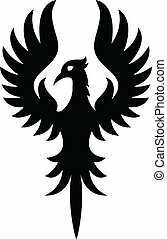 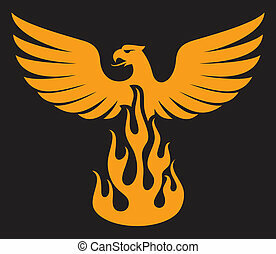 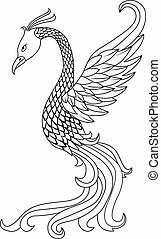 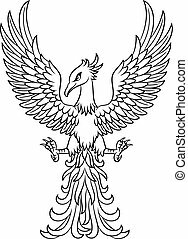 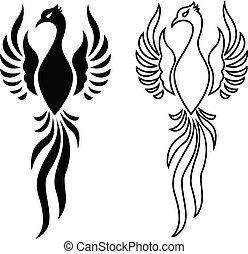 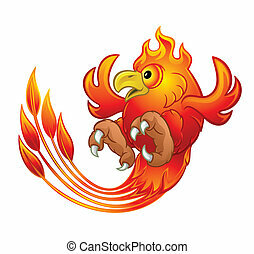 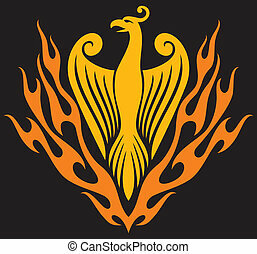 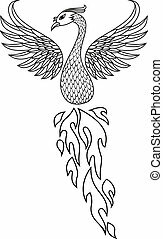 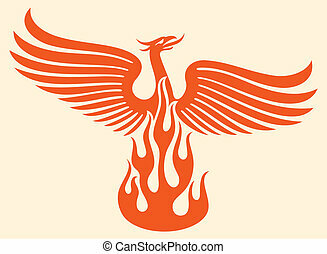 Illustration of flying Phoenix Bird. 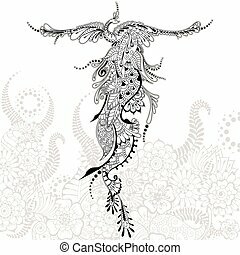 Peacock with spread wings in mehndi style. 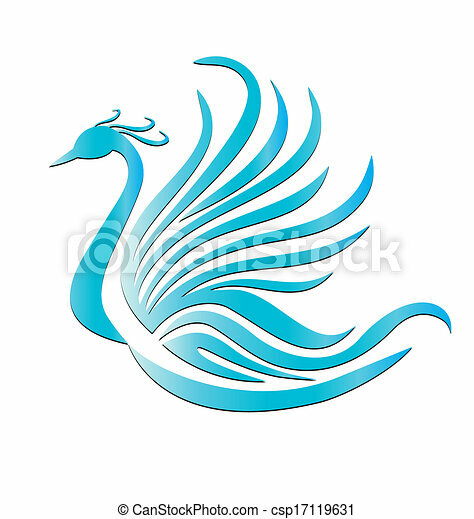 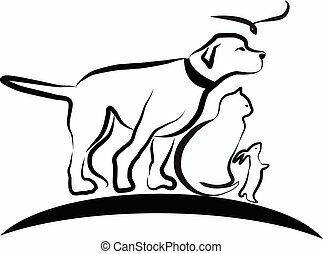 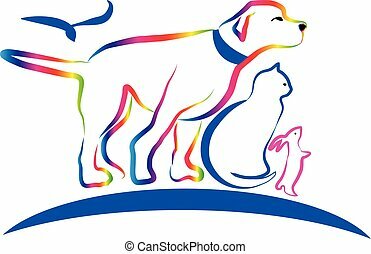 Vector template for tattoo.